Three of the defendants, who were granted bail in November, were not fined or given a jail sentence, Crown said. SHANGHAI: A Chinese court jailed 16 employees of Crown Resorts Ltd, including three Australians, in a quick-fire trial on Monday that caps a lengthy probe into how the firm lured Chinese high-rollers to its casinos. 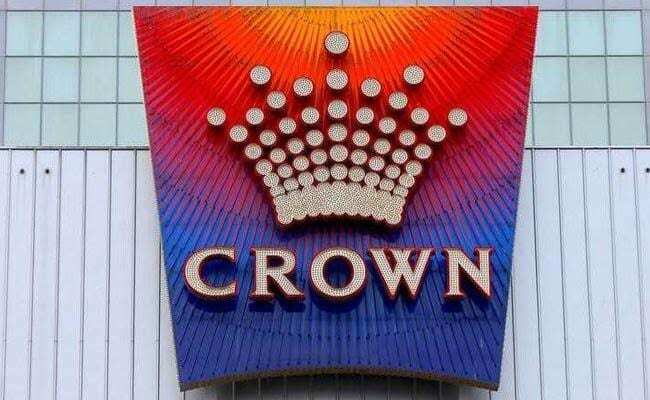 Melbourne-based Crown, 49 percent owned by billionaire James Packer, said in a statement the employees were jailed for between nine to ten months and handed a total fine of 8.62 million yuan ($1.26 million), which Crown would pay. The sentences will run from the date the employees were first detained on Oct. 14 last year, meaning they would only have a couple of months left to serve. A lawyer for the defendants said they were "satisfied with the result". The case prompted Crown, the world's biggest listed casino company outside of China, to retreat from global expansion plans and sell off assets in China's gambling hub Macau, and instead shift its focus back home. The Australian consul general in Shanghai, Graeme Meehan, earlier told reporters outside the Baoshan District Court that Crown's head of international VIP gambling Jason O'Connor was given a ten month sentence. The two other Australians, Jane Pan and Jerry Xuan, were handed nine month sentences. A total of 19 defendants, also including one Malaysian citizen, were formally charged earlier this month, having been first detained late last year. Zhai Jian, a defence lawyer, said the defendants had pled guilty. "Crown remains respectful of the sovereign jurisdiction of the People's Republic of China," the firm added. At the end of the swift trial that only began on Monday morning, relatives and lawyers were whisked away. Journalists had been barred from attending the proceedings. The husband of one defendant told Reuters after the trial the outcome was better than he had hoped. Requesting anonymity, he said his wife was given a nine month sentence and would be released on July 14. Donald Rothwell, a professor of international law at the Australian National University, said the guilty pleas had helped the employees avoid longer sentences, though added the case did underline legal risks of doing business in the country. The case was part of a wider crackdown on gambling in China. Crown does not directly run casinos in China, but last month it sold its remaining stake in Macau-focused Melco Resorts & Entertainment Ltd for $1.16 billion. The company had also been engaged in a big push to lure Chinese gamblers to its Australian operations. Aside from pulling out of the Macau, Crown has quit an agreement to develop a casino in Las Vegas and cancelled an ambitious plan, which it floated before the arrests, to split into three separate companies - one of which would have included its offshore assets. China has been cracking down on attempts by casinos to woo high-spending Chinese gamblers within China. In 2015 thirteen South Korean casino managers were arrested in China for offering Chinese gamblers free tours, free hotels and sexual services. The trial is the latest in a series of high-profile cases in China involving foreign firms. British drugmaker GlaxoSmithKline PLC was fined nearly $500 million in 2014 and food maker OSI saw employees jailed last year.